Known by many who make their way to Durban for both tourist and business pursuits, The Durban International Airport was opened in 1951 as a replacement for the Stamford Hill Aerodrome. The airport was originally named after old South African statesman Louis Botha, and was known as Louis Botha International Airport until 1994 when it was renamed Durban International Airport. While the airport served the domestic market well, its two main drawbacks were low numbers of international passengers and a runway which was too short for a fully loaded Boeing 747 to take off. As a result of these two factors Durban International Airport lost much of its international traffic to the OR Tambo International Airport in Johannesburg. Durban International Airport was decomissioned in April of 2010 with the new replacement airport located at la Mercy, 35 kilometres north of Durban, opening in May. 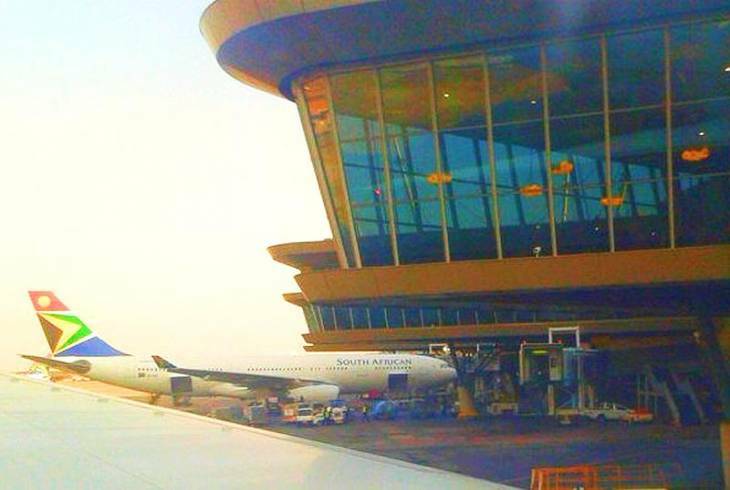 The new King Shaka International Airport (KSIA) was named after the great Zulu King Shaka who ruled during the 19th century, and is known as a greenfield airport - built from scratch to avoid any likely constraints. The new airport, designed by Osmond Lange Architects and Planners and built at a total cost of R7,9 billion is South Africa's second largest transport infrastructural project after the Gautrain rapid rail link, and boasts a new passenger terminal building with a total floor surface area of 102 000 m² - much bigger than the old airport's terminal which only covered 30 000m². The new King Shaka International Airport will be capable of handling an annual capacity of seven and a half million passengers, compared to the four and a half million which passed through the old Durban International Airport. Additional space has also been set aside for large scale expansion in the future. KSIA's new runway, which is almost 2 kilometers longer than that of the old Durban International Airport, stretches a distance of 3.7 km and is capable of safely accommodating some of the world's largest aircraft, including the double-decker Airbus A380. Provision for future construction of a second runway has also been made. Other upgraded features at the new King Shaka International Airport include an increased number of aircraft parking bays which now total 34, of which the old airport only had 23; sixteen air bridges, 20 more check-in counters than Durban International, 18 self-service kiosks , 52 retail outlets housed in over 6 500m² of retail space, and 6 500 vehicle parking bays - 4000 more than the old airport. The passenger terminal building at King Shaka International Airport has been designed in such a way, and incorporates the latest in design concepts - ensuring for the easy movement of passengers from arrival to departure. KSIA also offers visitors a full range of banking, forex and car rental services, and also include an appealing variety of restaurants, bars and duty-free stores. King Shaka International Airport Information and Nearby Accommodation.